Construction Management (CM), Design/Build and Rehabilitation of your utility assets. We work with public and private clients to install Water, Sewer & Reclaim mains / services, in additional to natural gas pipelines and specialty HDD construction. The scope of work specified herein for the installation of approximately 3,600 LF of thirty inch (30”) PVC force main (via open cut) and 6,321 LF of thirty-six inch (36”) HDPE force main (via horizontal directional drill), North from a thirty-six inch (36”) connection stub out at the I-95/Busch Dr. intersection, parallel to I-95, and connect to an existing (dry line) twenty inch (20”) FM located within the existing JEA T-Line Corridor. The new thirty inch (30”) force main is an integral piece of the North sewer grid master plan. In addition, there will be approximately 256 LF of eight inch (8”) HDPE fire hydrant lead installed (via horizontal directional drill) from the south side to the north side of Busch Drive for a new fire hydrant to be located within the northeast corner of Busch Drive and I-95 to provide water for the directional drilling and construction operations. The proposed work is within Anheuser Busch property easements, FDOT Busch Drive Right of Way, FDOT I-95 Limited Access Right-of-Way, and JEA T-Line. 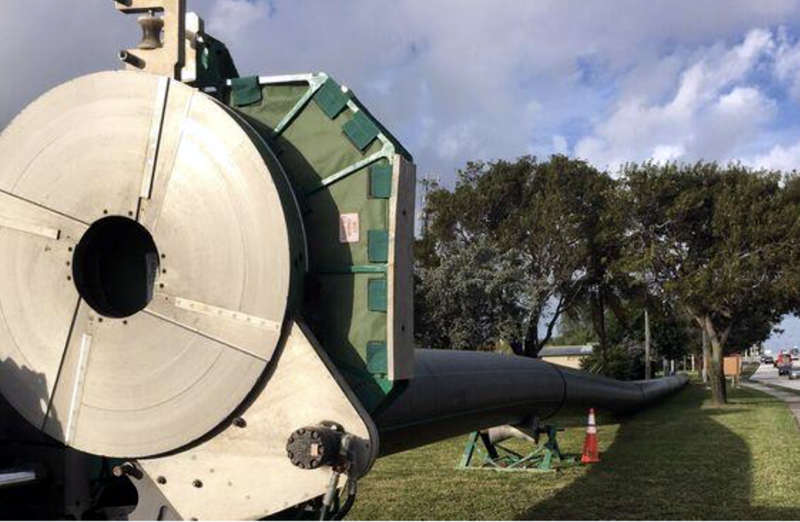 Client: Miami-Dade County / David Mancini & Sons, Inc.
As a sub-contractor, DBE performed the subaqueous installation of dual 30” and 12” HDPE water mains spanning 2000 LF each. These four (4) bores provide critical water supply to the port island from the mainland in Miami. From there, the water is conveyed by sub-sea pipeline to Fisher Island, an affluent and ecologically sensitive environment off the coast in Biscayne Bay. As a specialty sub-contractor to Layne Heavy Civil, DBE performed the installation of 3 large-diameter bores totaling ~5500 LF of 42” HDPE. The shots were 2600, 1300 and 1600 linear feet respectively. 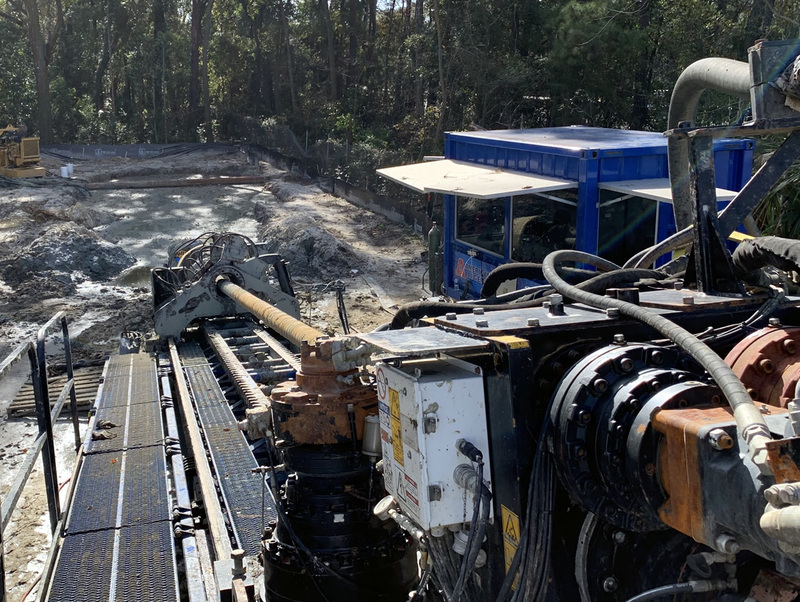 To tie-in the bores, open cut construction was required totaling ~750 LF of 36”, 24”, 20”, 18” and 12” pipe segments, including installation of gate valves, fittings and schedule 40 conduit with electrical pull boxes.